Technical issues delayed this final installment of the Girl Scout Red Scare, but I have a treat that is worth the wait! On August 6, 1954, the Illinois chapter of the American Legion passed a resolution withdrawing American Legion support for the Girl Scouts for supposedly subversive, anti-American content in its 1953 Intermediate handbook. GSUSA President Olivia Layton contacted Irving Breakstone, the newly elected commander of the Illinois chapter, to discuss the matter. Breakstone distanced himself from the Clammage resolution and assured Layton that it would never reach the floor of the National American Legion convention, set for August 30-September 2 in Washington, DC. The Illinois resolution, retyped from a file at GSUSA NHPC. Legionnaires from across the United States gathered at the Washington Armory over Labor Day weekend, 1954, and voted on a series of proposals calling for vigilance against communism, including universal military training. They passed a resolution praising McCarthy’s Senate Permanent Subcommittee on Investigations and the House Un-American Activities Committee. 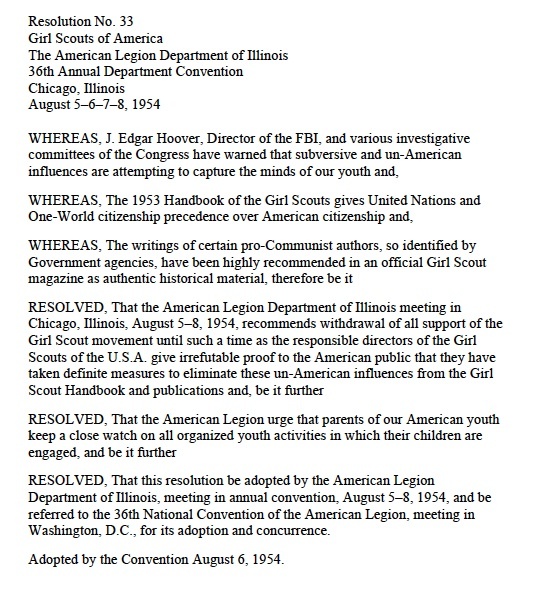 Regarding the Girl Scouts, convention delegates commended GSUSA for taking “remedial action” (revisions underway long before the Legionnaires got worked up over the handbook) and called on GSUSA to disclose the author(s) who had inserted the “un-American influences” into the text and whether or not they still worked for the Girl Scouts. Furthermore, Legion National Commander Arthur J. Connell reneged on a promise to let the Girl Scouts defend themselves if the handbook issue made it to the floor. GSUSA President Olivia Layton at the 1957 Roundup (GSCNC Archives). They promised to get in touch with me if anything at all was to be done. Then they went ahead and did this, without even letting me know a thing about it, until I read in the paper Wednesday that the resolution had been passed. All organizations, including the American Legion, could be infiltrated, and it seems to be that it might be well for the Girl Scout leaders to see who in their organization was responsible for the changes in their handbook, that ought to be blamed rather than any individual in the Legion. 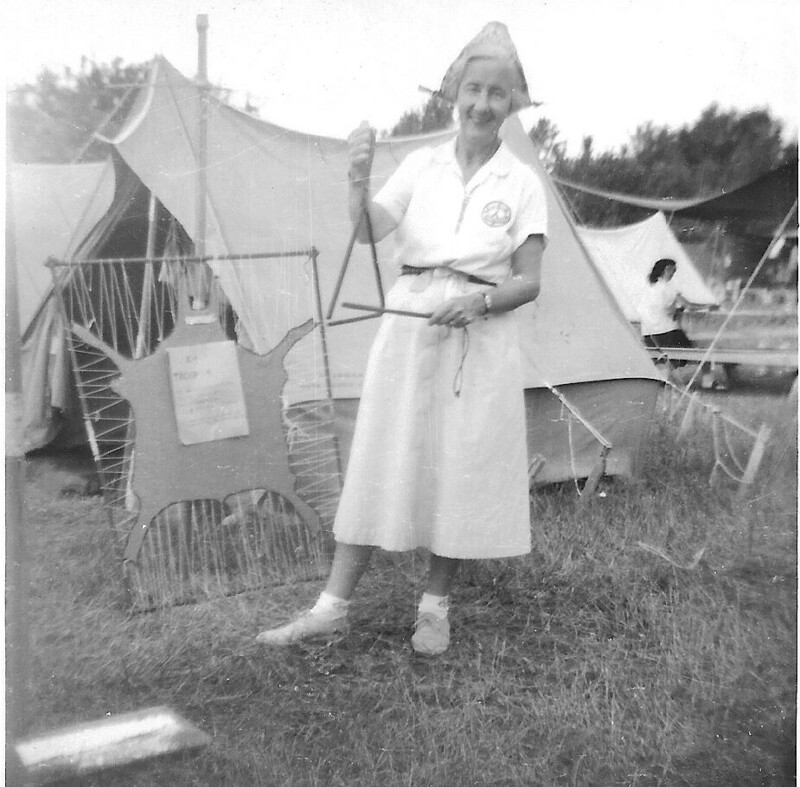 As it turns out, the author of the Intermediate Handbook was Margarite Hall, an old friend of Nation’s Capital who worked at Camp May Flather when the camp opened in 1930 and later on the council staff. In 1953 she was the Intermediate Program Advisor at GSUSA and hardly a rabble-rouser. 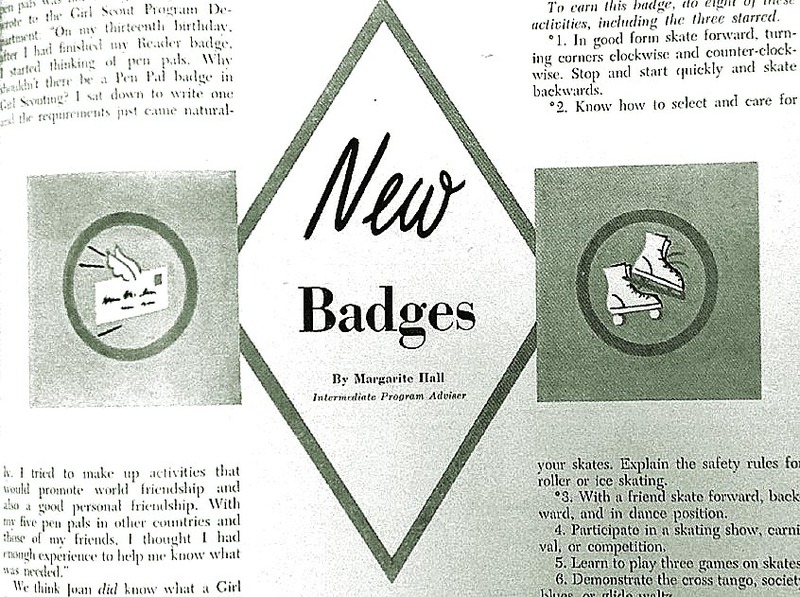 Hall previewed new badges in the May 1953 Leader magazine. Hall introduced the 1953 Handbook in the October 1953 Leader magazine. Although the controversy over the Handbook had to be frightening at the time, by 1990 Hall could laugh about the incident, as she did in a 1990 presentation at Rockwood Manor, outside Washington DC. This entry was posted in Badges, Program, Sensitive Issues and tagged American Legion, Camp May Flather, communism, Girl Scout Council of the Nation's Capital, Girl Scout history, Girl Scout memorabilia, Girl Scouts, GSCNC, GSUSA, Margarite Hall, Red Scare. Bookmark the permalink.